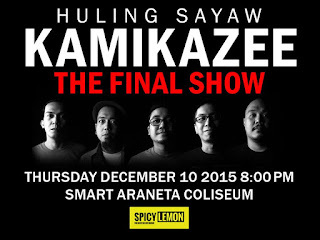 From the concert title itself we all know that it sounds sad to all Kamikazee die-hard fans. Not just Kamikazee fans but to all OPM music lovers as we all know their music has been part of everyone’s life story. 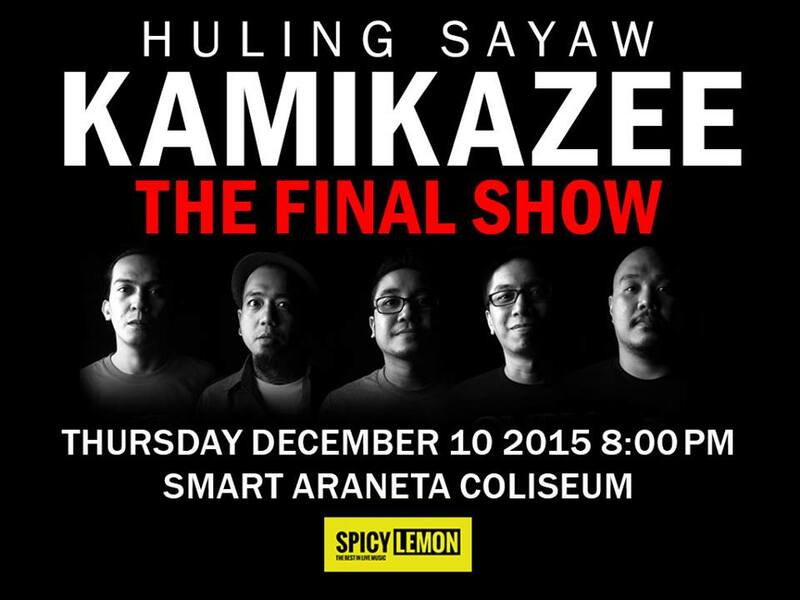 Last week the band announced that they will be having their final show at Araneta Coliseum on December 10, 2015. The post was published on the bands official Facebook with the caption “HETO NA!!!! 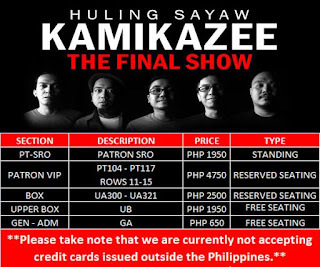 ‪#‎kamikazeehulingsayaw ‪#‎December2015”. Ticket price: See prices below. Available at Araneta Coliseum, all Ticketnet outlets and online. Do note that TicketNet online adds 80Php ticket fee. Visit there website for more details. Tickets sale started October 17, 2015. Although concerts details are not yet finalized, we can expect that there will be surprise performers from their friends in music industry. For those who are asking for the ticket price and supporting bands line up we’ll keep you posted once they’ll officially announce it. 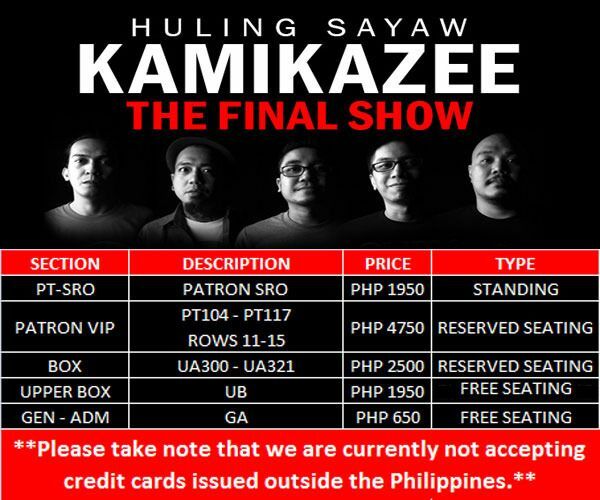 You can also follow Kamikazee’s social network page @KamikazeeOfficial on Facebook and @kamikazeephil on IG.